Visiting Athos is not a simple procedure. 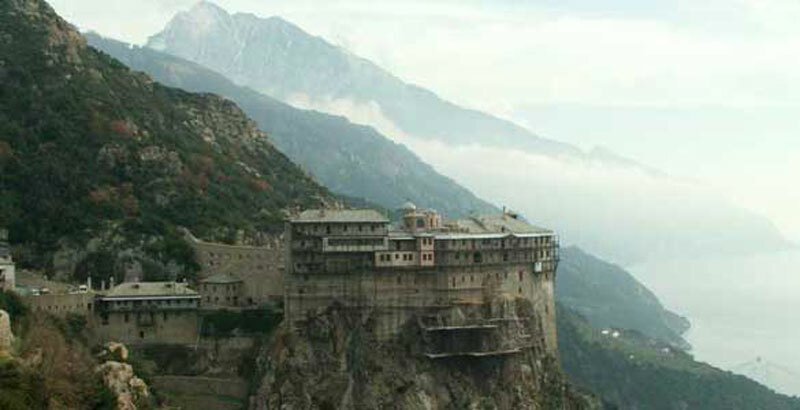 First of all only men are permitted to enter the Mount Athos region, conveniently excluding half the population. Women who are interested in experiencing Mount Athos can only take advantage of going on an Athos cruise and viewing the monasteries from a distance, since for a thousand years no woman has been able to visit Mount Athos. Permits are issued daily for 10 non-orthodox visitors and 100 Greeks and orthodox visitors. They are valid for a four-day visit and for specific dates. If you want it extended, it can only be done at the registration office in Karyes on the Athos peninsula. All applicants must be over 18 years of age. Applicants younger that 18 must be accompanied by their father or as part of a group having the written permission of the parents and this letter should be notarized. Everybody, whether orthodox or not, must obtain a permit called a “Diamonitirion” to enter the Athos peninsula. Make a reservation up to six months in advance, the earlier the better. This can be done by phone, fax or e-mail. You will be required to send a copy of your passport. Include from which port you plan on entering, Ouranoupolis (west) or Lerissos (east). In a couple of weeks you will receive a letter with further instructions. All reservations will need to be confirmed by telephone two weeks before your intended visit. If you decide to change your reservation, please do this in advance so as to avoid a negative reaction that could affect your entering at a future date. In addition to receiving the permit, advance reservations must now be made if you wish to stay overnight at one of the monasteries. Visitors to Mt Athos are no longer required to personally visit the Pilgrims’ Bureau office in Thessaloniki to register and receive their papers. You now proceed directly to the agreed upon point of entry and your papers will be ready for pick up. There is a cost of 30 euros.